Have Onions ever made you cry? We all have experienced that as soon as we try to chop the onions we start to tear up but ever wondered why and how do these little vegetables manage to do that? In this article we will find out about how to cut onions without crying. 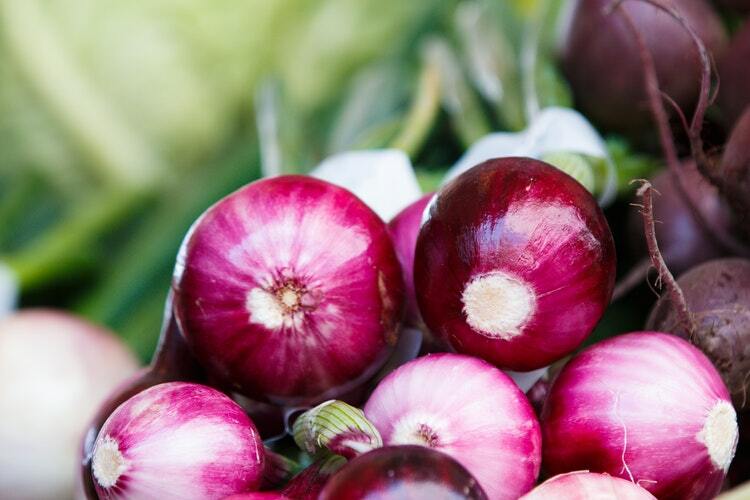 Onions produce the chemical irritant known as syn-propanethial-S-oxide. It irritates certain nerves in eyes and they release tears. How can you prevent your eyes from watering? Use a sharp knife to slice the onions, it will cause minimum damage to the onions cells-crushing the onions cause more damage to it and releases more enzymes. Cool the onion in the refrigerator 10-15 minutes before chopping it, it will suppress the spreading of the Lachrymator. This trick does not affect the taste of the onions at all. Sock the onion in water before slicing it, doing so will dissolve the amino acids. This trick is effective but not as effective as the one where you cool the onions, water makes it difficult to chop them as the onion becomes slippery and the bits go everywhere. Cut the onion near hot running water or a cloud of steam. Steam from a kettle or pan of water will do the trick. The science here is that the steam will draw out the vapor from the onion, dissipating them. Breathe through your mouth and stick your tongue out. This draws the gas your wet tongue. The olfactory nerves, which are closely located to the tear duct nerves, will be by bypassed and there will be no tears generated. Stick a piece of bread in your mouth. Many people report that chewing, especially bread helps avoid tears when cutting onions. Whistle while you work . Whistling makes a significant airflow specifically away from your face, which keeps the onion mist away from your eyes. Point your knife away from the tubes because onion flesh is tumbler in construction, pointing the tubes away from you while cutting will keep the onion from spraying in your eyes. Wear goggles while dicing the onions, if you have a pair of swimmers goggles that fit your face, this is one of your best bets, No onion air will be getting in there. Use a fan or ventilator to blow away the fumes produced. This is so that gas is pulled away from your eyes. Use the candle method light a candle and set it near the cutting board before cutting the onion. The gas released by the onion is drawn into the flames of a candle , this is not the best bet but it is definitely worth a try. Onions are a mine of benefits and must be included in your meals to enjoy good health. Onion is rich in Vitamin C and it lowers cholesterol. Try one of the tricks while slicing them next time and you will not avoid using onions in your recipes next time.